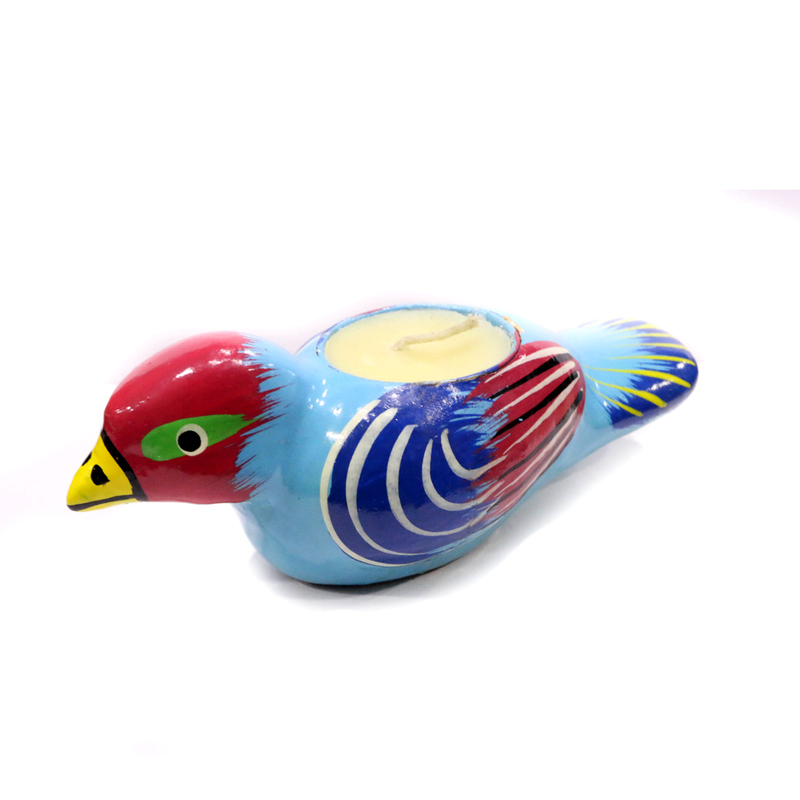 A colourful bird carrying wax on top of it is a must have if you love candles or birds or simply love to decorate your Read More..house with innovative creations. This bird has a blue base which impregnated with dark blue, red, yellow and sky blue Colours. The head has a red tone and green eyes, complemented by a pair of yellow beaks. Show Less..